Dedicated in 1974, the building was expanded from 7 to 15 floors in 1979, reaching 3.1 million square feet. 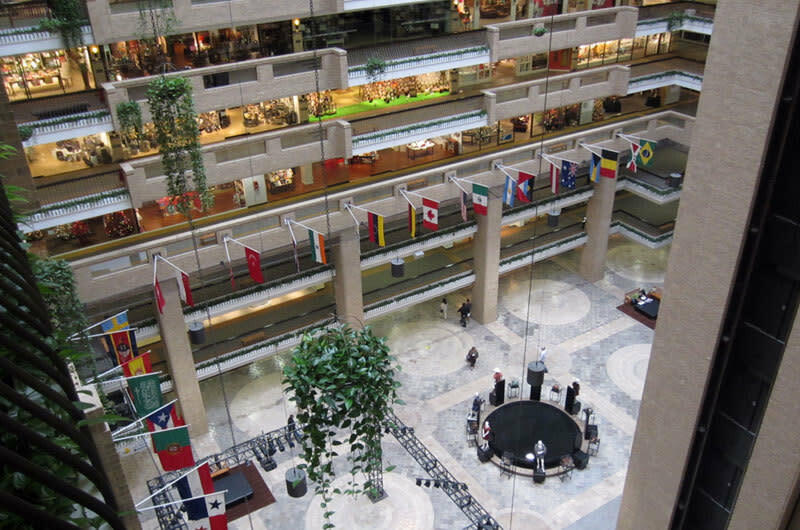 The ground floor of the 15 story atrium features the Hall of Nations with a display of flags from around the world. 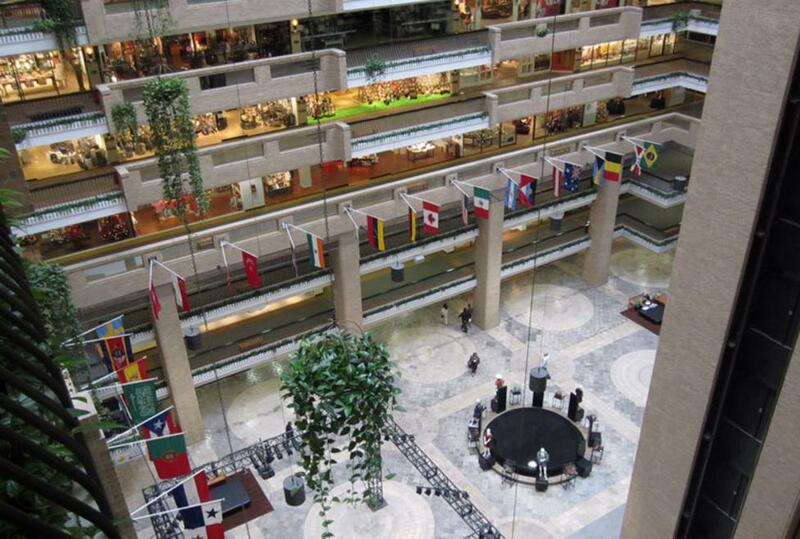 The Grand Pavilion is a four story garden atrium located on the first floor of the Dallas Trade Mart. This unique space is limited only by your imagination. Offering a resort setting with fountains and lush greenery, the Grand Pavilion is an ideal location for any special gathering.